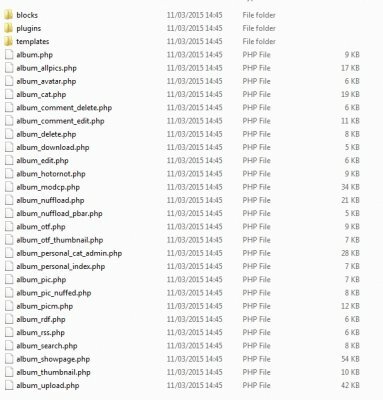 Installed the Album Plugin, once added to a CMS page and opened up webpage i get this error, i also modded line 51 as before it use to say ALBUM_MOD_PATHalbum_common.php without a "/"
The old block album.php is not compatible with the new version, you should remove all old blocks and use only the new ones. 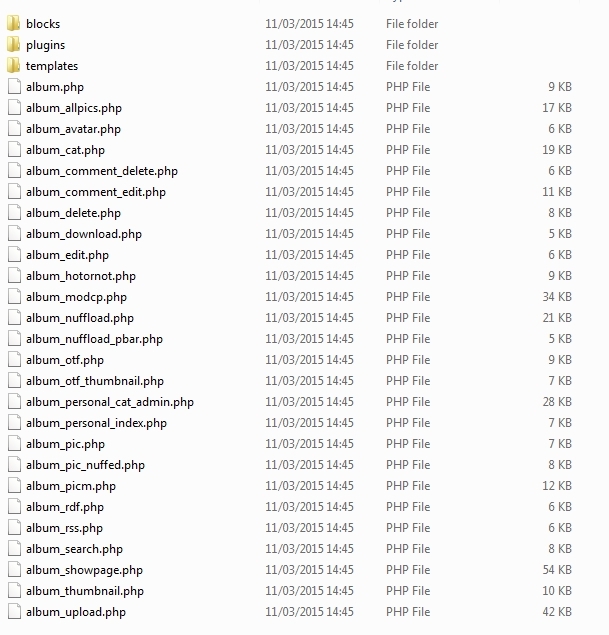 For the album as plugin the correct block is called plugin_album.php. Let me know if you manage to get it work properly. 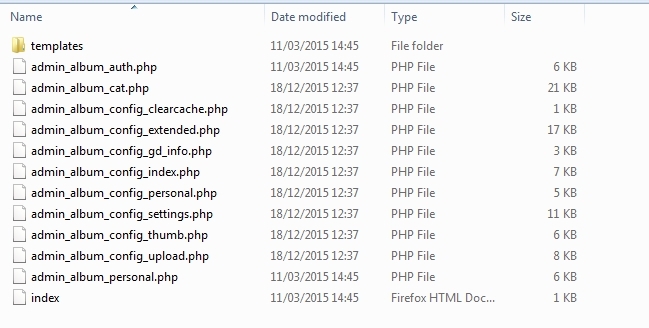 It is in the Plugin, Luca. It's got more problems than that I'm afraid. And that's just one problem half-patched without going any further.. I don't need to read through anything other than what happens from this point in time because I have the latest from GIT and it's got errors in the album plugin. what's more I don't want to spend a lot of time so lets start somewhere here..
First I've patched the block file with the right path. 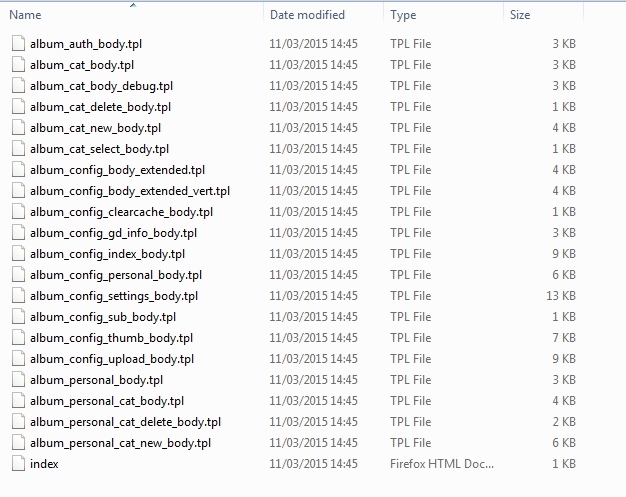 then go back to this template file ADM_TPL . 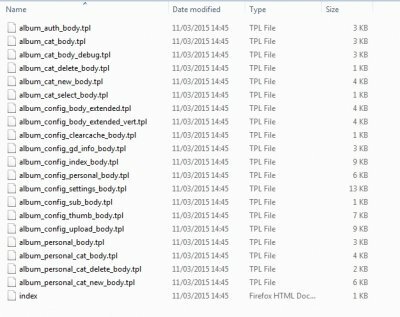 'album_cat_body.tpl'. Ok, I swung the axe at this and changed the lot otherwise one cannot navigate the Album settings in the ACP. If you do them all the same time with something like Notepad++ don't leave the dots off the ends else you will end up with a mess.. I'm sure you'll find it - I'm off to bed - - - G'night. i can see no reference to ADM_TPL. Am i pulling from the right GIT location ? I made a real balls up - and yet I looked at that twice myself and convinced myself it was right.. Far too late at night to be doing anything I'm afraid - and I had already taken some sleeping pills. 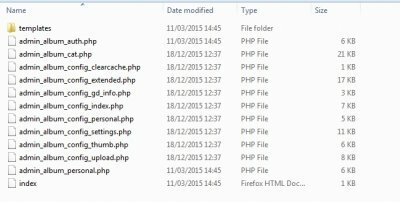 You're in the right place and here's a zip I have patched so far if you want to use it.. There are still some paths that are wrong - but I'll get to them later today and post them separately so that MG can see those too. After all of this - I put the url (local - xampp) to the album in the browser - and the Album works fine - even uploaded some pictures and went through the motions of checking all the "Pages". Later I'll try creating a CMS block - But at least the rest of it seems to be working just fine. You can add this if you wish - which you will probably need to do anyway as I don't see it adding itself during "activation" of the Album. I realised that - But it was no use trying to create a CMS block when the thing is full of errors. Otherwise that only adds to the problems. As for creating the CMS block - there appears to be further obstacles in the way that need to be sorted out. But a quick look hasn't brought up any errors so far..
Andy, the errors you are posting are not appearing for me and I've generally cleared the obstacles/errors as I come to each one - But the last error has got me beat because I don't do much with this script any more. And it's posted in another thread... Along with a message for you. Have managed to fix it.. The Block now works a treat on the home page. Glad you got that side of it sorted out. But if you've followed all of the updating I've done on-the-run there's still things that are either missing or not pathed properly or not catered for. As for me - I only looked at it to see if I could help you out because there is a general lack of real "Qualified" help here. And it's a long time since I looked at Icy in any shape or form - - And I wont be doing any more with it because I would have to spend a long time re-learning what is where along with all the code changes - while I don't really have a use for any of it. And that path has already been defined as such. Dunno... may look further - maybe not.